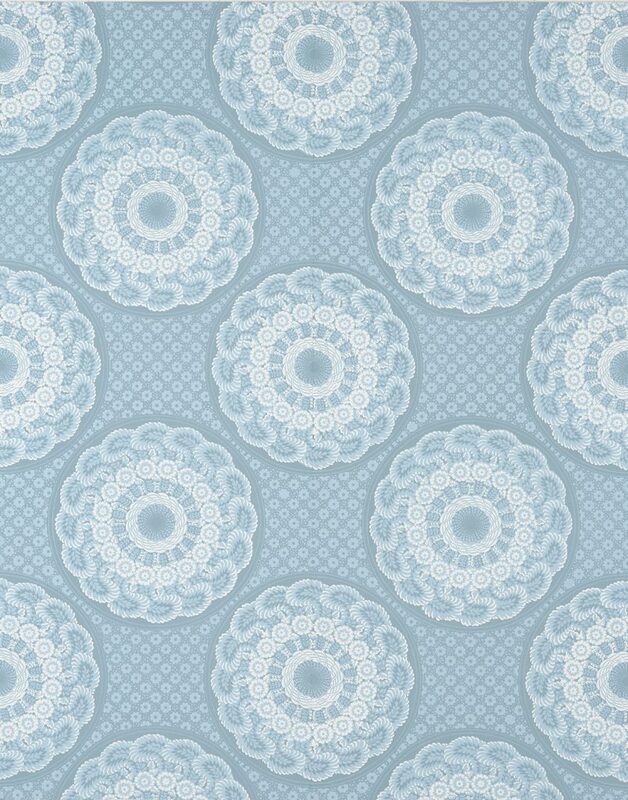 This pattern is licensed to Adelphi Paper Hangings by The National Society of Colonial Dames in the State of New York. The Georgian style home of Frederick Van Cortlandt, in The Bronx, was commissioned in 1748. However, the dining room wallpaper reproduced here was a later, 19th century addition. By this time American clients viewed France, rather than England, as the preferred source for high end wallpapers. The original Jacquemart et Bernard pattern (#5063) is an excellent example of how significant depth and variation can be achieved when using only two printed colors on a ground. When paired with the Van Cortlandt Border it makes a dramatic, yet refined, statement.